Hollywood Eye Doctor | Visionary Eyecare's Blog: "The Eye Journal"
Great News!!! If you live in South Florida / Broward County then you need to know that we are Eye Doctor / Optometrist providers for the EyeMed Network Vision Care Insurance Plan to provide you with your discounted Eye Exam, Vision Exam, Vision Testing, Eye Testing, Contact Lens Exam and more! 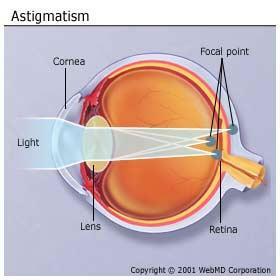 As EyeMed Providers and as always, we provide you with our state-of-the-art, computerized and high-tech eye examinations and contact lens exams. We also provide emergency eye care, laser vision consultations, cataract, glaucoma and retinal evaluations, as well as all types of eye health care. Please call our offices to confirm that we are still participating in YOUR plan….as contracts come up – some plans are added and others are deleted. Again, its always best to check with us first and remember that the list above is only a partial list! Be sure to use your benefits before the end of the year….use your Flex Plan Spending! Lite 101.5 FM Radio Broadcast this Saturday – August 23rd!! Pearle Vision and Visionary Eyecare (Independent Doctors of Optometry Next to Pearle Vision) will be hosting a LIVE Radio Remote Broadcast with Lite 101.5 FM from our office in Davie on this Saturday … August 23rd … from 10am until 12 noon. Be sure to listen to Lite 101.5 FM between 10am and 12 noon and then stop by our office because the radio station will have the Lite 101.5 FM Station Vehicle out in our parking lot and they will have a Prize Wheel and will be giving away Door Prizes!! Pearle Vision will also be kicking off their amazing 25-70% off Non-Prescription SUNGLASS SALE….including some awesome designer frames from Prada, Versace, Dolce and Gabbana, Ray Ban, DKNY, Burberry, Ralph Lauren and more!! Stop by or call our office (954-434-9045) to BOOK an eye exam in our Davie office (Next to Pearle Vision) anytime on Saturday August 23rd and receive our FREE Promotional Gift to YOU! Any appointments that are BOOKED on that day (in person or on the phone – 954-434-9045) will receive a complimentary FREE Digital Retinal Photograph when you come in for your eye exam!! The Retina is the nerve tissue that lines the inside your eye and is responsible for your vision and it is important to have a photograph of it to help detect any eye health problems that you may not be aware of. The eye exam does NOT need to be DONE on Saturday….to get the FREE Retinal Photograph as your Promotional Gift, for this promotion – the exam just needs to be BOOKED anytime on Saturday. Our Davie office is located at 5780 S University Drive in Davie – it is on the North East corner of University and Stirling, in front of the Super Target and across the street from Home Depot. We are in between Jamba Juice and Pollo Tropical. CLICK HERE to see a map. Again, the digital retinal photograph is our FREE PROMOTIONAL GIFT TO YOU (this is a $25 value) for stopping by or calling us (954-434-9045) anytime on Saturday August 23rd to BOOK your eye examination in our Davie Office (Next to Pearle Vision)!! WE LOOK FORWARD TO SEEING YOU THIS SATURDAY!! !